Traveling with 3 kids is not easy especially when it comes to packing their stuffs. Each of my children wants to bring their own toys and gadgets that will entertain them along the way. Not to mention the amount of snack I have to prepare and take with us. At the end, I ended up with bags full of stuffs laying on my vehicle floor. The trouble is, It's hard to walk over those bags, the kids trip over and when they needed something, they can't reach the bag. I ended up unbuckling myself and getting the stuffs for them. I know I need a backseat organizer to keep things organized and in an arm length for the kids. 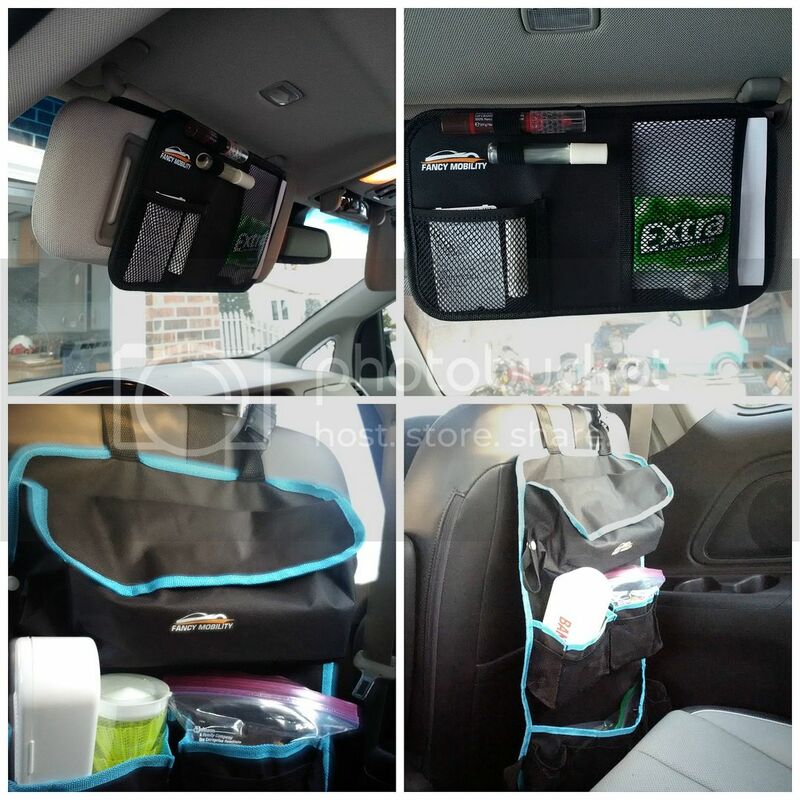 Fancy mobility backseat car organizer comes very helpful. It has a lot of pockets that I can use for anything I want to take with. I was able to put the first aid kit, snacks and other small items. Yet, there are still a lot of empty pockets to use for more stuffs. It was easy to install, does not take more than 3 minutes. It was long and it covers the lower back of the chair, a great protection from my kids kicking feet. I am glad that with this backseat organizer, everything my kids needed is an arm length away. I didn't need to unbuckle myself or stop the vehicle just to get something for them. The water proof features allows this product to stay dry and easy to clean. I love the bonus product that came with it, the visor organizer. I was able to install it on the sun shade in just a few seconds. You can never go wrong with the visor organizer, I was able to put paper works, gum, mint and cards in the mesh pocket. My lipstick and lip balm in the rubberized slots which holds the items securely, I am sure it's a good spot for pens too. I am satisfied with the product and I recommend it not just for parents but for anyone who loves to travel. Disclosure: I received the product for Free in exchange of my honest review.